The Retrosketches #30 was a must-do for this week...love having the big main panel on the front to work with:) The Ribbon Reel has a fun challenge, too...Chevrons with Pastels. Thanks for stopping by the stage today:) Have a wonderful week! 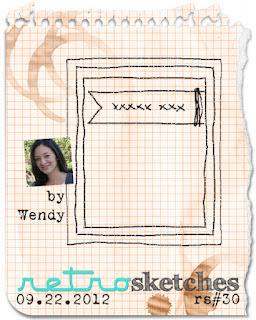 It's hard to believe that September is on it's way out...though, I must admit it has been a tough month in many ways and I'm looking forward to a more positive October:) I couldn't let September end without trying my hand at Jen's amazing Sketch for You to Try over at her blog, I Heart to Stamp. Happy Monday and happy TPE day! 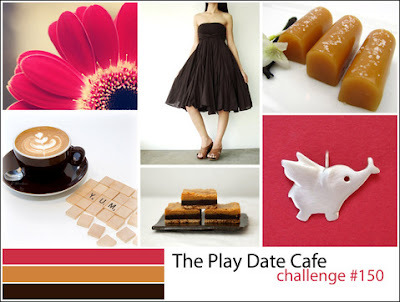 It's time for another challenge over at The Pink Elephant. This week, you are challenged to create a monochromatic project for TPE 166. For my monochromatic and masculine-themed card, I used very vanilla, chocolate chip, soft suede, crumb cake and other neutral brown tones. Since the Retrosketches #29 looked so awesome, I tried to make my card fit for that challenge. Friends of Speedy over at Mark's Finest Papers has a fun Bingo Challenge, too! The Crazy 4 Challenges 154 is offering a prize this week for their "Anything Goes with a Fall Twist," and anything goes, as usual over at the 52 Card Pickup. Good morning! Hoping this finds you all rested and ready to tackle a new week:) It's time for another challenge at The Pink Elephant! 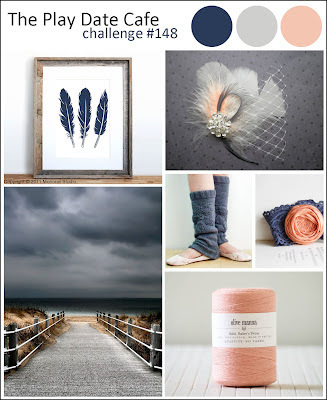 This week, we challenge you to create an wedding/anniversary-themed project for TPE 165. My anniversary card was inspired by the color palette, PDCC 148, over at The Play Date Cafe, using navy, stone, and peach. 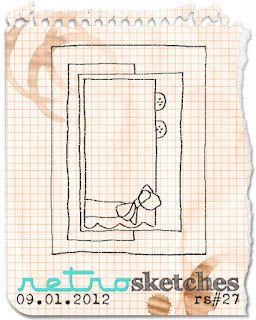 The Retrosketches #28 worked well for the layout of my card. True friends don't come around very often in our life, so why not join me this week to celebrate the ones that we are blessed to have? To celebrate friendship this week, I made this card for one of my close friends...a friend that I can share the good times and the bad times with. 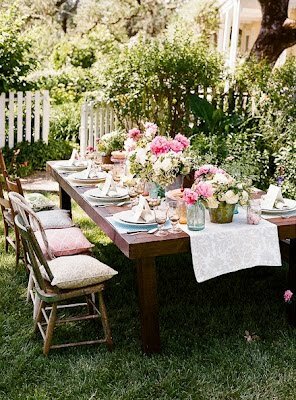 I was inspired by this inspiration photo from The Shabby Tea Room...the colors are so pretty, I think, and perfect for a girly/friend card! 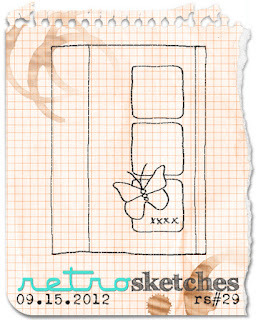 I kinda case'd one of my own cards, too, for this one...the Heartfelt card I made last week. Is it Friday yet? Oh yeah, tomorrow is...thank goodness! To celebrate the end of hectic week, I thought this sentiment was appropriate! Bring on the CHOCOLATE:) I was inspired by two fabulous challenges for this card...the MOJO sketch #257...love the flags and embellishments on this one! 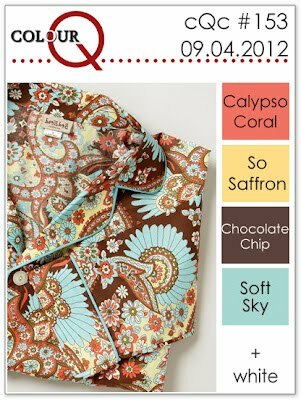 I was also inspired by Arielle's gorgeous color combination, ColourQ Challenge #153. The colors and sketch worked so well together! And...don't you just love it when you find a Designer Paper with all the needed colors for a project!? 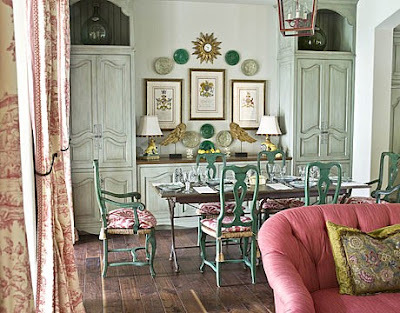 The Attic Boutique was just right for this color combination and all the fun layers I could use. Good morning and happy Monday! It's time for a fun challenge over at The Pink Elephant, TPE 164: Use Pattern Paper. 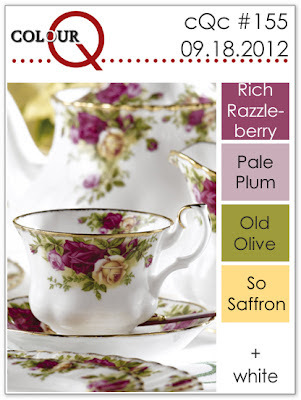 My card was also inspired by The Shabby Tea Room #129: Summer Cottage, with this gorgeous photo inspiration! The colors I used were Regal Rose, Old Olive, Chocolate Chip, Crumb Cake & White...love the pop of pink...a great chance to use some of my paper stash! 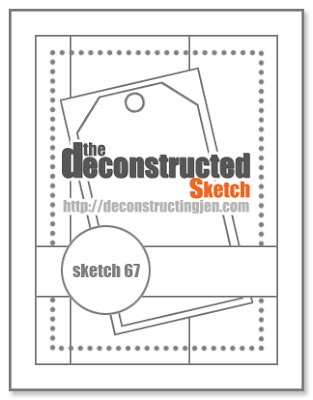 The sketch, RS#27, over at Retro Sketches was a goodie this week, too! This awesome sketch allowed me to use those fun flags and label die cut, along with some ribbon, button, and stick pins. I also submitted this card to a new challenge, Simple Salutations: Anything Goes over at MFP Speedy Tv. Check it out! Thanks for stopping by the stage! Hurricane Isaac moved it's way to central Illinois and it has rained and rained and rained for almost 24 hours...a rainy day is a perfect day to get crafty! 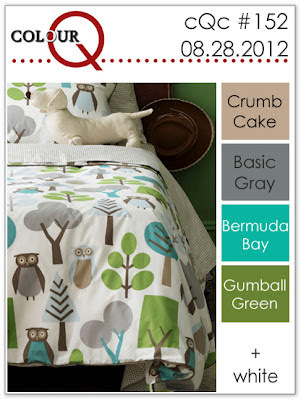 The ColourQ Challenge #152 using Crumb Cake, Basic Gray, Bermuda Bay, Gumball Green, and White was my color inspiration for the card. 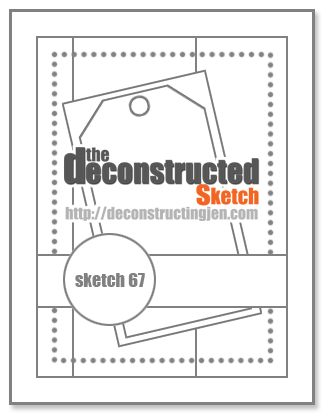 The Deconstructed Sketch #67 worked well with with the colors to create a thank you card. My card features lots of layers, stitching and collage stamping. 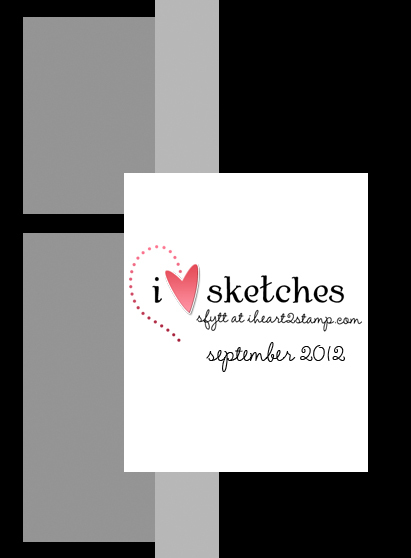 By the way, it was the first time I used the new and improved foam ink pads that Stampin' Up! offers...wow! Love them...such better coverage! 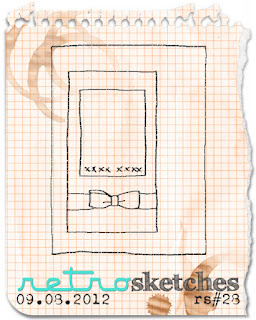 I also submitted this card to the Sketch with a Twist Challenge at MFP Speedy TV.